Lupus Colorado is pleased to announce that Michael Sauter is serving as a facilitator on our Lupus Colorado for Teens Facebook page. 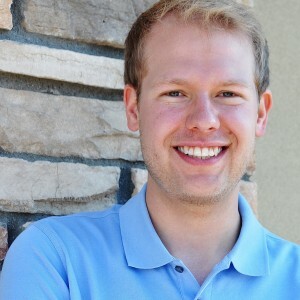 Michael currently works as a research assistant at the Aurora Research Institute. He earned his psychology degree from Colorado State University. In addition, he has experienced his share of challenges with lupus and is able to relate to young people with the disease. If you caught a glimpse of the Sauter family chatting at their dinner table or walking out of church, you’d have no idea of the journey this family has been on together. Within this family is a bond that cannot be replicated. When one of the grown sons, Michael, was fighting for his life with lupus, this family cried, prayed and suffered in a way that no one would ever choose to experience. They spent 70 days at Children’s Hospital when son Michael was in high school. Like many boys, Michael was an active child who enjoyed playing basketball, running around outside and generally goofing around. A blood test when he was 13 years old indicated he may develop lupus, but life continued as normal until Michael literally collapsed from the pain of excrutiating headaches just after his freshman year of high school. It turns out his brain was swelling from lupus. He was admitted into the Intensive Care Unit at Children’s. “It was a massive brain swell. I had IV’s, breathing tubes, and tons of meds,” Michael said. Though that was just over ten years ago, Michael’s mother, Bev, weeps when she recalls Michael slipping away before her eyes. On more than one occasion doctors told the immediate family to bring friends and other family members from the waiting room to say goodbye to the young man. Whether modern medicine, excellent doctors, or the power of prayer gets the credit, it is fair to say that Michael’s recovery was a miracle. Not easy, but a miracle nonetheless. The teenager stayed in the hospital for a total of 70 days, 30 of which were in the ICU. It was his entire summer vacation and though he recovered, he left a different person than he was when he entered. “I was so weak after the whole thing. I lost virtually all muscle mass and the medications had taken a toll on my body,” Michael said. Not only had the steroids made him gain weight, but the massive amount needed to save his life degenerated his bones. For a while, Michael’s fear that serious health issues were always on the horizon was a valid one. A series of surgeries to repair damaged bones after his hospital stay interrupted his life and his transition into college. Though Michael’s lupus was like nothing Bev had ever experienced before, her son was not her first family member to be diagnosed with the disease. Two of Bev’s sisters had lupus, as did one cousin, but Bev said the disease impacted the family members in her life differently — and none as severely as Michael. One sister had sore joints and took prednisone for relief. In her other sister, lupus presented itself in her skin with rashes and other irritations. Bev’s cousin suffered from heart problems because of lupus. But to look at Michael now, one sees a young, successful, handsome young man with his whole life ahead of him. Despite lupus and its associated complications, Michael graduated in four years from Colorado State University. He works full time now and enjoys bicycling, photography and strumming the guitar. Though he’s never been as sick as he was in high school, lupus is still a daily struggle. Some days he’s in pain, others he may be fatigued, and still others he may be battling the the latest cold or flu bug. And while memories of Michael’s stay at Children’s Hospital can be intense and haunting, there’s a reservoir of love, faith and a spirit of community that the Sauter’s draw from when they need strength.